Come check 'em out !! 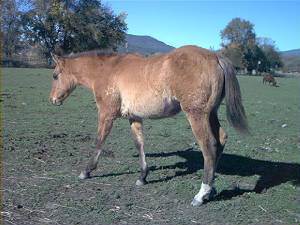 Most foals on this page are for sale just ask for info and pedigree. 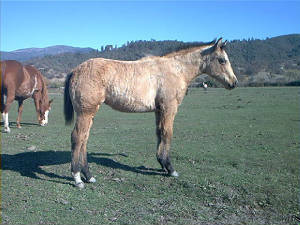 Here on our ranch we raise some quality horses, and try and keep the cost down so you can afford your dream horse. 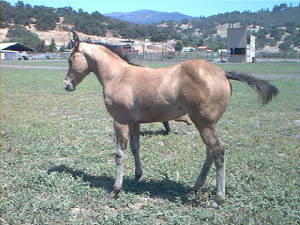 Most of our foals start at $1200.00, stallion prospects are more. Bay Tobiano colt with two Blue Eyes - Homozygous ?